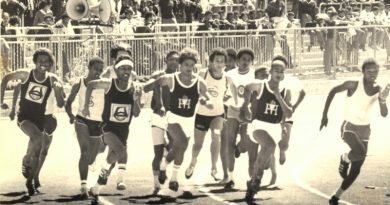 AS a keen follower of athletics, I went back to the Hewat Teachers’ Training College, a stone’s throw away from where I live, one late afternoon in 1985, to watch the Western Province Senior Schools Sports Union athletes train on the cinder track. 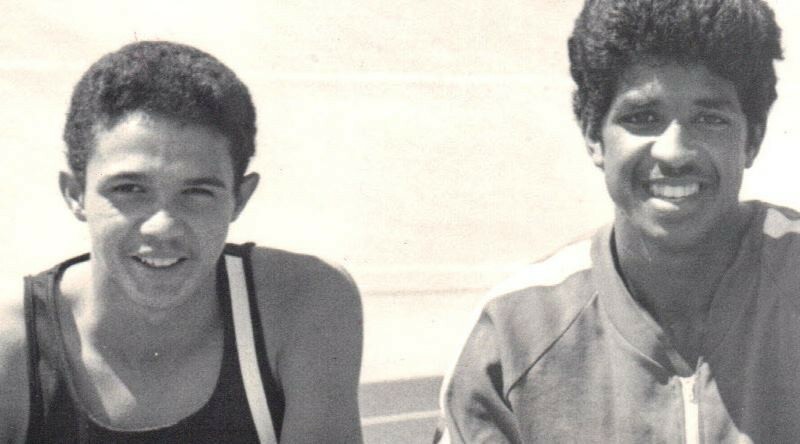 I was in search of one athlete, simply because he had astounded officials and a young sportswriter on the Saturday prior to the schools’ training session. The results at a Vygieskraal track and field meeting, written in triplicate, were too good to be true. A four-party discussion, which included two high-ranked officials and a coach of good repute, ensued over dinner that Saturday evening. After the discussion, I was dispatched to investigate immediately. Off I went to Hewat to see Mr Cecil Blows, the convenor of senior schools, about an athlete who might have run out of his age group. The times of 10,4 and 10,5 seconds in the 100m were electrifying for a boy aged 15. A few crooks who ran out of their age groups before have been known to us. So the practice was nothing new. And steroids were unheard of in those days, although the East Germans, in hindsight, had been dabbling with it by 1983 (perhaps even earlier). Under a pepper tree, to the left of “Sun City” (the sun-seeking area for students) at Hewat, was an athlete in a blue and white tracksuit, already moustachioed – a sure sign of maturity. He had arrived early from Grassy Park for the training session. It turns out, he was a Grassdale High pupil. In the shade of the tree, he politely helped himself to a cigarette from a packet, which, incidentally, was blue and white too – Rothmans 20. He could not shake off the blue and white colours, certainly that of athletics, which had immortalised him. As a young student teacher, I immediately reprimanded him, and might even have discarded the packet of filtered cigarettes! A lecture on the etiquette of track athletics and the honour and beauty of earning and wearing the WPSSSU colours vigorously and earnestly ensued. During the haranguing, the credentials of this young man, who introduced himself as Shaun Vester, were verified. He was the real deal; an authentic and genuine article. By then tens of athletes had arrived to join the highly talented schoolboy. 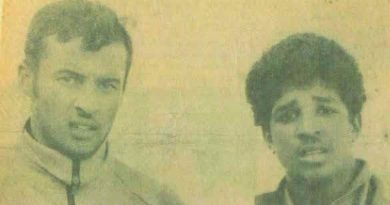 Shaun Vester was only 15 but had already run an astonishingly fast time of 10,5 seconds in the 100m on 23 April 1985 – a rare talent, indeed. Quite frankly, he was in such a class of his own that no one knew how to manage him. In those days, elitism was taboo. On the basis of his world-class performance, he had launched himself into the spotlight of all-time sprinting. 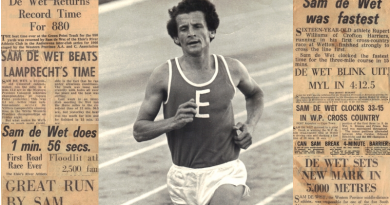 His sprint duels with Craig Steyn and Teano Patience lit up the athletic stadiums around the country. Absolutely, legendary! The three of them had by far been the best group of junior sprinters in the 100m and 200m that I have ever seen on all surfaces, and in all weather conditions. They would run sub 11s any time of day, or on any track, and run sub 22s as if there was an Olympic gold medal at the finishing post! Steyn and Vester also competed fiercely in the long jump event – 7 metre jumpers, no problem. They had a remarkable respect for each other, but not for the records and titles that changed hands frequently. They owned the track, or half of it anyway, and one long jump pit. 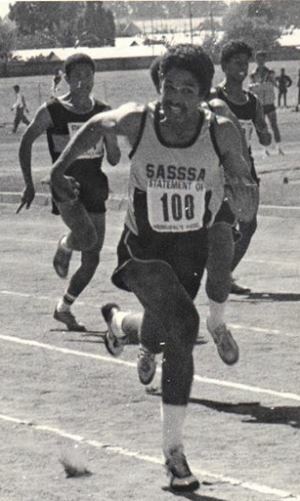 By 1988, Vester had run 10,1 seconds in the 100m (twice at UWC) and 20,8 seconds in the 200m (once at Vygieskraal Stadium in 1987). In 1987, at the SA Track and Field Prestige Meeting at Vygieskraal Stadium, Vester had run 10,4 secs in the 100m. The quality of sprinting was not in doubt. Soon after the race, he walked towards the railing, a barrier between the track and the stand at Vygies, and spoke to a former athlete about the 100m race and the next one coming up, the 200m. He was told that the day had been perfect for sprinting (unusually so for Vygies) and that breaking 21 seconds was on, following his sizzling time of 10,4 in the 100m. The instruction was emphatic: “sprint out of the block, and don’t worry about the last 50.” By the time, Vester got to the 160m, “his engines had shut off or cut out, however, the case may be” and he coasted over the line to a remarkable 20,8 seconds, coming virtually to a standstill metres after the line. Usually, winners finish well into the bend. He did not. He was done for; fatigued – but the reward was there! At age 17, going on to 18 that year, Shaun Vester was never to run like that again in the 200m. An exceptional talent, along with Steyn and Patience. Awesome period in Western Cape athletics.